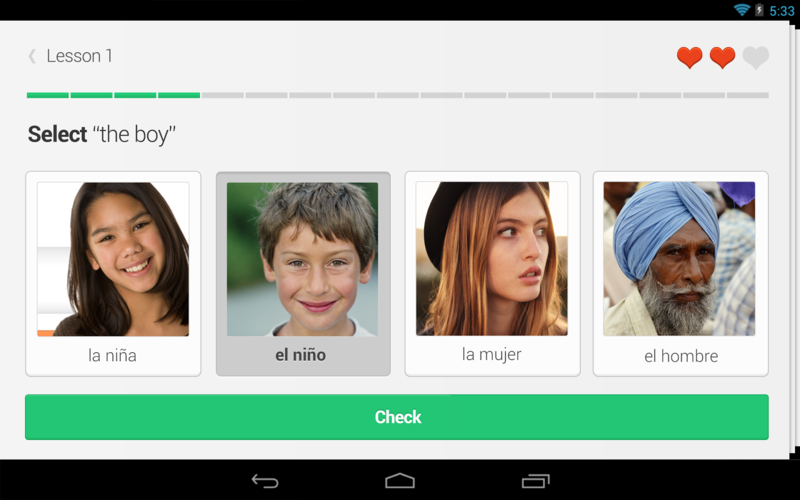 The free DuoLingo service already has an army of aspirational bilingual supporters, but that's no reason to rest on your laurels. Today the developers have updated the Android app with a few changes to the user interface. 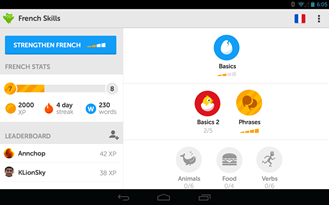 The basics of the app have only been tweaked slightly - a digital spit and polish, if you will - but extra screens added to the end of lessons and progression screens should help users get a feel for where they are in the program. 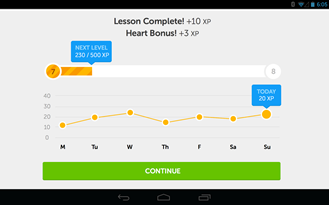 The end of lessons screens show progress and improvement on a day-to-day basis, sot of like a fitness app or an RPG. Impressively, the developers have actually managed to shrink the app while expanding its capabilities. 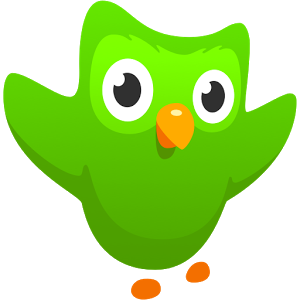 DuoLingo is now down to a mere 4.8MB download from 13.8MB, surely manageable on even the most frugal of data plans. I'd imagine that re-creating at least some of the app's visual assets had a lot to do with this. 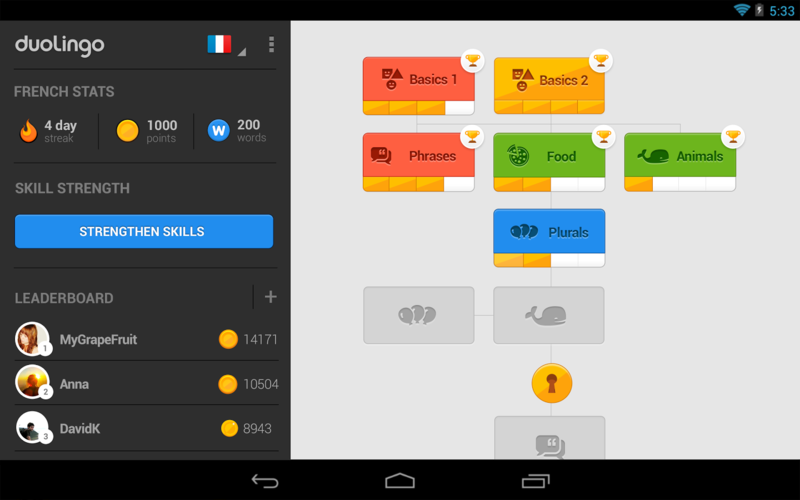 The tablet optimizations and offline support added earlier this year are still present. 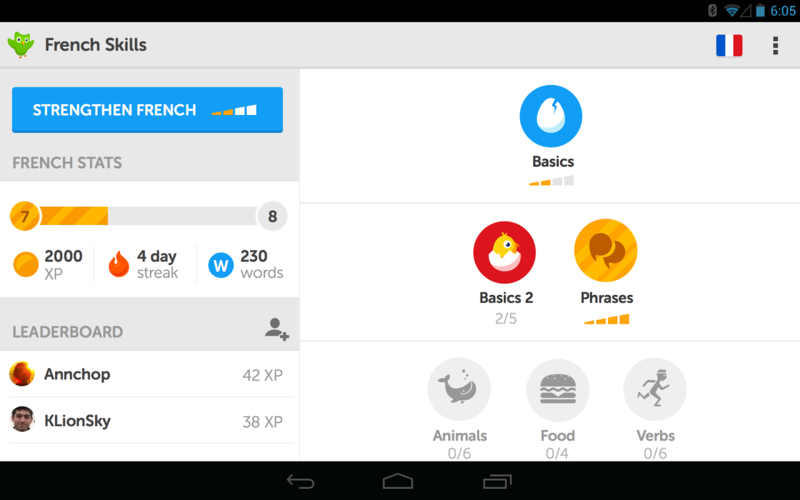 DuoLingo's mobile game approach to language learning remains intact, and it's still as free and clean as ever. Any Android device running 2.2 or later is compatible with the app.